It usually starts with a big flappy sheet of lavash or a soft tortilla. Those flat, towel-like breads that so easily twist and snuggle around your sandwich fillings. And while I’ve bought salt-free lavash and no-sodium corn tortillas before, they are either special grocery store items that only show up once in a while (lavash) or they tend to crack and break apart when you roll them (tortilla). Which means a sturdy, low-sodium sandwich wrap is difficult to make for a simple Wednesday lunch. But you didn’t think I was going to give up that easily, did you? That’s when I moved away from the bakery and decided to take a page from our raw and vegan friends, fulfilling my sandwich cravings with the help of two gigantic, elephant ear-like collards. Forget lavash. We’re going green. But I can’t take credit for this moment of genius. Here’s the real backstory: I was in Sun Valley Idaho for a wedding. I had packed a large snack pack full of low-sodium treats for me to eat throughout the weekend. And good thing I did, because most of the restaurants in town specialized in cheesy pizza and burritos. Which meant I was eating a lot of dressing-less side salads. Then, on the final day, the sun seemed to shine brightly upon on a particular store front: a live-food restaurant called Glow. But excitement didn’t bubble quite yet, as most vegan and live-food menus I had encountered before tended to over-salt the ingredients to make up for the raw presentation. As I tell others, though, I took a risk. At least their dressing-less side salad might be a bit more exciting. And it turns out that was my second best decision of the day. The first being sunscreen and deodorant..
Quinoa, raw lemon and kale salads, guacamole–the menu had many low-sodium items to choose from. 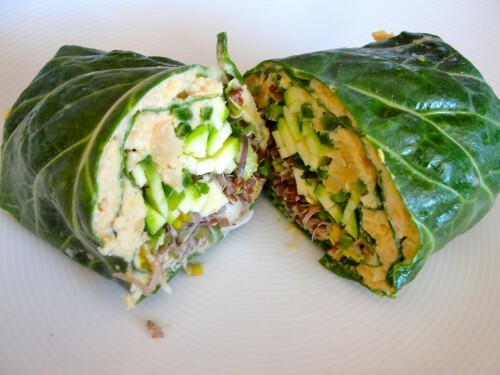 And as if that wasn’t good enough, there was the collard green sandwich wrap. 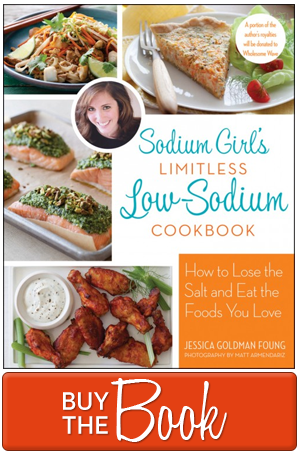 It wasn’t low-sodium (although I’m sure if I lived in Sun Valley and frequented Glow often, it could be). But just in seeing it, I was inspired and ready to start making them at home. The process is really easy. Step one: Get collards (or even a big head of napa cabbage). Two big leaves will make one big sandwich roll. 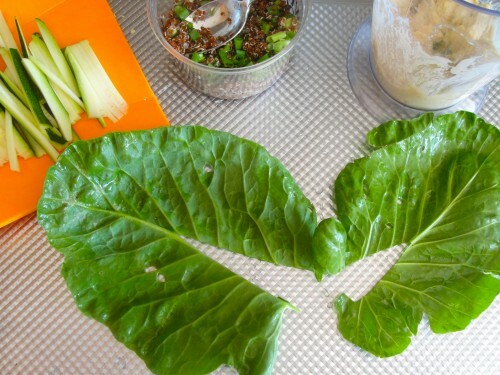 Simply cut the hard stalk from the bottom of the leaves and lay them over each other so that the spaces are covered. Step two: Make your glue. Whether that is hummus or chicken salad or babaganoush or tofu mayo, anything kind of smooth and sticky will help keep the collard together. Paint the inside of the leaves with this glue. Step three: Fill her up. I used a mixture of quinoa, sprouts, and thinly sliced zucchini and jalapeno. But anything not too bulky will work. Just remember you are rolling this guy up, so just be aware of dreaded over-filling. The amount shown here worked perfectly. Step four: Wrap it up. 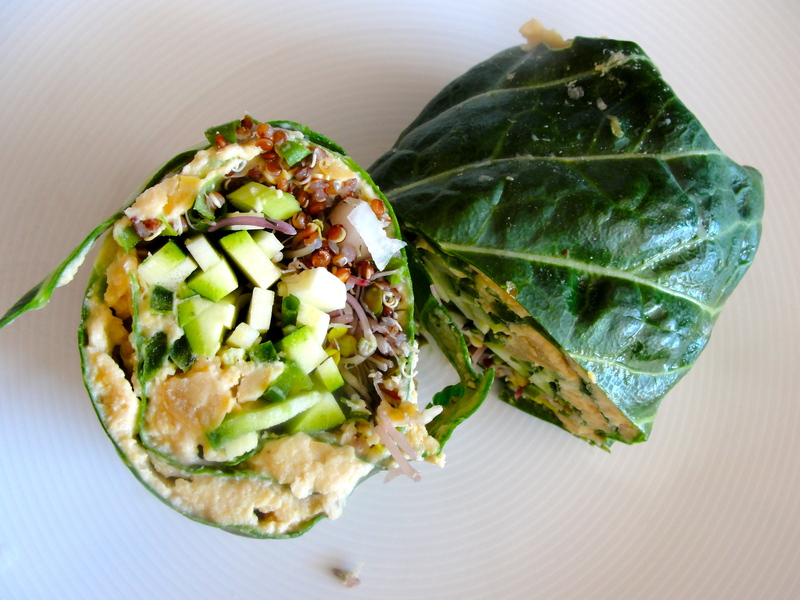 Using your skilled fingers gently fold the top and bottom parts of the leaves inward while you roll the wrap, right to left, covering the filling first (very much like wrapping a burrito). Paint on a bit more glue (aka hummus) on the leaves as you get towards the end of your rolling. This will help keep everything together. Step five: Slice into it. A serrated or very sharp knife works best. Step six: Eat. Or cover in plastic wrap or foil and take it to work. 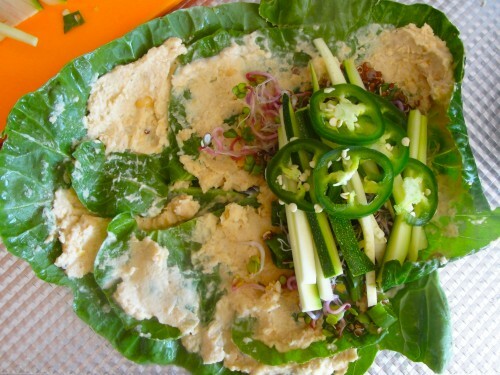 Collards are sturdy so the sandwich won’t fall apart, like that lavash. And remember to admire. It may not be bread, but gosh darn, that is a really pretty looking sandwich wrap. Healthy, bright, colorful, and majorly tasty. It’s not just a low-sodium substitution. This is a true low-sodium success. This looks so yummy! Trying this today for lunch! Just found your site and it has been very helpful as I am cooking a low salt diet for my Dad. I am trying it as well. Now you have me excited about this! I’ve always disliked the way tortillas and lavash get soggy if you don’t eat the wrap right away. 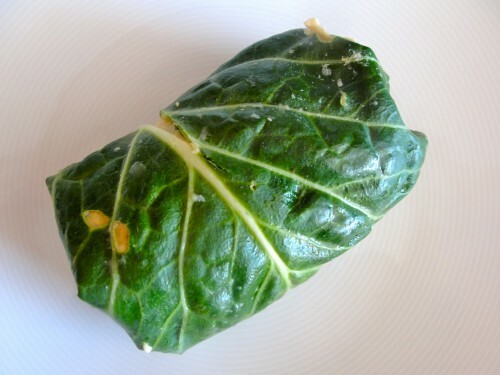 I think Napa cabbage sounds great as a wrapper too. So many possibilities! And I love the visuals. They make the rolling seem less intimidating. So hummus doesn’t have salt in it? Just started reading this blog so I am a tad late in commenting. Very inspiring! Think I will try a Napa Cabbage wrap with low-sodium Asian fillings? 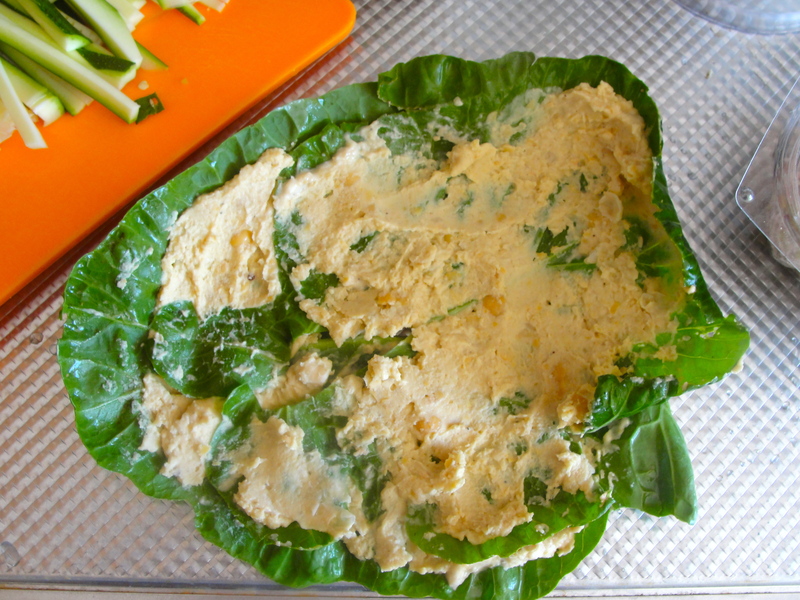 Perhaps a tofu-based “glue” and then fillings based on a Thai recipe for Ma Ho (galloping horses). Or ingredients from a Vietnamese Pho recipe? One problem. The fish sauce! 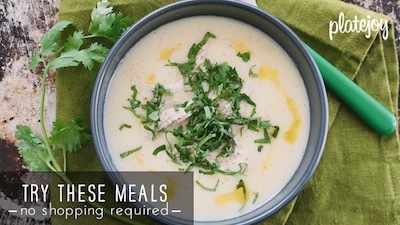 Maybe go heavy on the lemon, garlic and cilantro and leave out the fish sauce? Must give this more thought. This looks great! Def. am gonna try this one. Hello, just wanted to say, I loved this post. It was funny. Keep on posting! Hi, just wanted to mention, I enjoyed this blog post. It was helpful. Keep on posting!